After much anticipation Apple has launched its new music streaming service, Apple Music. It’s the latest addition to Apple’s burgeoning product ecosystem which includes devices, software, online digital payment systems and digital media stores. The launch of Apple Music also poses a substantial threat for existing companies that deliver on-demand music streaming services – most notably Spotify, the subscription-based music streaming provider that has achieved an impressive customer base of 75m (with 20m paying for the service) since 2008. Competition between innovative companies is nothing new but in the hyper-connected digital world everything happens faster. The competitive advantage that a single product or service can give is much shorter-lived. The launch of a product or service on the market is immediately observed by millions of companies, globally. And the companies that have the right resources and technology to build on a good idea and possibly make more out of it are the ones that thrive. 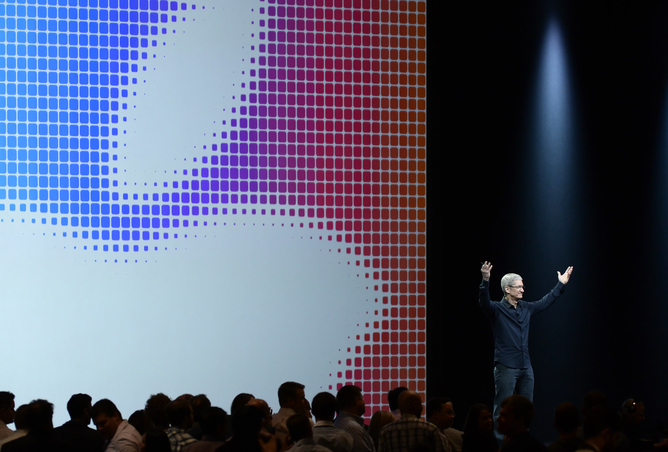 Enter Apple to the music streaming business. Having a good idea that creates value for customers is only the very beginning of a business' journey – this is something colleagues and I reflected on recently in a paper published in the Academy of Management Review. Coming up with one way to make money out of it is a good start, but stopping there does not lead to success, certainly not in the longer term. An idea is really a seed. A seed that can grow in many directions and generate other successful new ideas. Developing follow-up ideas can be the key to long-term success. Apple is an example of a company that does this extremely well. In 2001 Apple developed the core idea of combining design, portability and connectivity. The first way it conceived to make money from this was the launch of a product for the music industry. The result was the iPod, a smoothly designed, ultra-portable device that enabled connection with other devices and access to content. The iPod was a huge success, but Apple did not stop there. Building on the same basic concept and combining new telecommunication and computing functions it introduced the iPhone and the iPad. Today, continuing along the same trajectory the company is expanding in wearable technology with the recently-launched Apple Watch and now in music streaming with Apple Music. Electric car systems are the next objective. Each of these products is – in Apple CEO Tim Cook’s own words – “a very key branch of the tree”, originating from the same seed that led to the iPod in 2001. In our article we call this a “generative” strategy. Successful companies think about what else could be done with the same basic concept. They apply it to other contexts, develop complementary products to enhance their success and target new customer bases. Uber is another example of this. It is building on the core idea at the basis of its car sharing service and is entering logistics with Ubercargo (a moving service) and Uberrush (a package delivery service). Being generative makes sense for a variety of reasons. First, not all early applications of a given idea are successful. In its path to success Apple launched products that did not work, such as the tablet Newton and iTunes Ping. Developing a portfolio of variations on the same idea makes a company less dependent on the success of each one of them. For instance, maximising the profitability of its music streaming service is less crucial for Apple than it is for Spotify because Apple Music is only one of many services the company provides. Developing a system of interconnected products and services also has the benefit of locking customers into them, which competitors that focus on one idea will struggle to replicate. So developing a customer base for its new music service is going to be much easier for Apple than it has been for Spotify because Apple benefits from the millions of users (and registered credit cards) already tied to its iTunes accounts. Being generative does not necessarily mean pushing multiple ideas. Rather, it means exploiting the full potential of each idea. Coming up with a large number of varying inventions is more likely to be detrimental for a firm, spreading its attention too thinly. Xerox Parc in the 1970s, for example, generated an incredible number of new ideas but didn’t succeed in exploiting their full potential. Some similar ideas did find commercial success though such as the first Macintosh computer. In our research, we emphasise that organisational choices that foster creativity but also create pressure to deliver outcomes are an important way for exploiting existing ideas in new, profitable ways. These can include things like companies having challenging goals on invention and time sensitive creative processes that create a sense of urgency and provide rhythm to the inventive process – think Apple’s annual developer conference as a key deadline for the launch of new products. Developing a knowledge base that draws on a diverse range of experiences can also contribute to this goal. Even after a successful invention, failing to recognise a product or service’s full potential might lead someone else to do it. If a company does not consciously try to further develop its ideas in all the feasible directions, it might end up leaving a lot of money on the table. And Apple is a company that is well-endowed to swoop in and clean it up. Elena Novelli is Lecturer in Management at City University London.